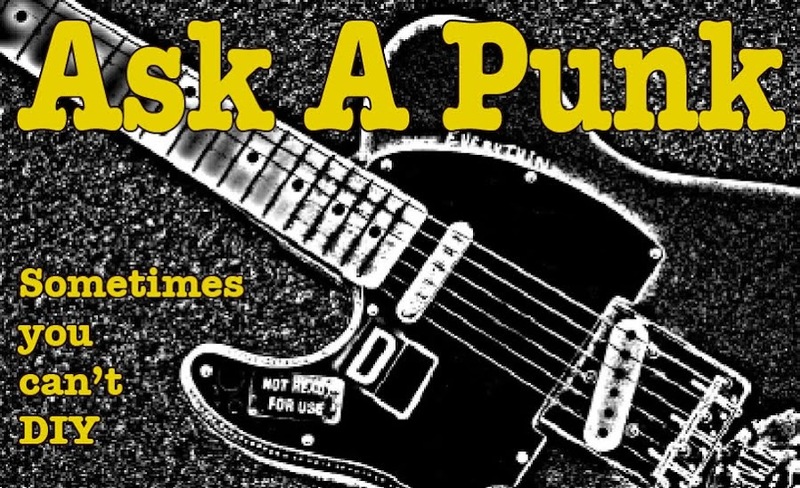 Ask A Punk: Gobble Gobble Hey ! Next week is Thanksgiving. Unlike seemingly everyone else I know, I'm looking forward to it. Given all the dysfunction I see in my friend's families and all, it feels almost weird to admit that I like my family. I moved 4 hours away from them not because I don't like them, but because I wanted to be here, in this particular city. We're all in our mid-20's and when my friends start complaining about their home lives and how glad they were to escape them, I nod understandingly, but when they invite me to their non-family 'cool' Thanksgiving, they're not nearly as understanding when I say I want to go home instead. It is like they think I'm faking liking my family or something. 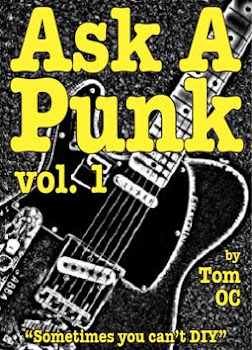 Is it possible to be punk/goth AND be relatively well-adjusted? I think it is, but apparently my friends don't. - No-Drama Turkey Day. Good for you. Go home. Be proud of your non-messed-up family while you're chowing down. You have a lot to be thankful for, and you obviously are. I'm not being sarcastic here. I'm glad for you, but just try to understand what an alien concept a 'Happy Family' might be for your friends. People who grow-up with a lot of family drama can take years (or decades) to see and really understand that everyone else's childhoods weren't as screwed up as theirs... To them dysfunction is the 'normal' default mode and Holiday Dysfunction was a special kind of crazy... I'm sure you remember vividly all your great family memories... just understand that their memories are just as vivid, and waaaaaay more F-ed up. You're all young... some of your friends are still years/decades away from really dealing with their childhoods... so in the meantime, they seek (and find) mostly like-minded escapees and try to create a new form of sanity... even more so during the holidays. I know you said that you ARE understanding and that what you're experiencing feels like a lack of understanding from them... You're right... It is... but they're still young and still trying to figure out a new 'normal' ... and here is something you can absolutely count on: No matter how close you are (or think you are) with your friends, no matter how much or how often they've 'opened up' to you about all the F-ed up things that happened in their childhoods, know this: I'm willing to bet that they've told you just 10% of it, barely the tip of the dysfunctional iceberg. You have only the slightest understanding of what they went through and how it scarred them... and because you WERE the lucky one who had a non-chaotic, peaceful and safe childhood, I'm afraid you've gotta meet your friends a bit more than halfway on this one... for at least another decade or so. You've got one thing going for you - Your healthy upbringing has helped you establish clear boundaries and a relatively upbeat outlook on life... So you have the confidence and the life-mastery to know when you're right and your friends are wrong... These are life-skills they probably don't have to anywhere near the same degree. So love your friends but suffer not their anti-family BS... just bring them back some leftover pie and they'll be fine with it.